London's modest eighteenth-century houses-those inhabited by artisans and laborers in the unseen parts of Georgian London-can tell us much about the culture of that period. 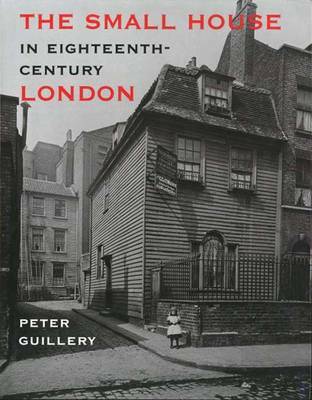 This fascinating book examines largely forgotten small houses that survive from the eighteenth century and sheds new light on both the era's urban architecture and the lives of a culturally distinctive metropolitan population. Peter Guillery discusses how and where, by and for whom the houses were built, stressing vernacular continuity and local variability. He investigates the effects of creeping industrialization (both on house building and on the occupants), and considers the nature of speculative suburban growth. Providing rich and evocative illustrations, he compares these houses to urban domestic architecture elsewhere, as in North America, and suggests that the eighteenth-century vernacular metropolis has enduring influence.